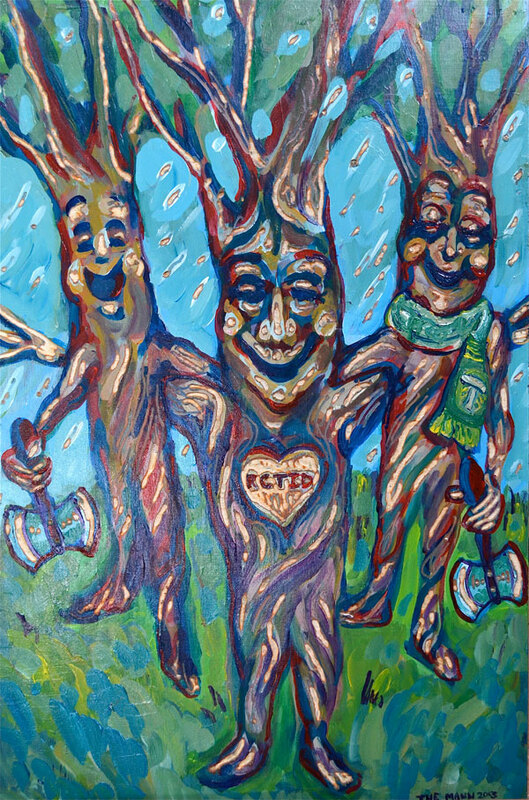 Portland Timbers Art Show This coming Thursday February 28th 2013 Reception 5-8pm. This is an OFFICIAL Timbers ART show. They are releasing their new jerseys! Artwork will be at Talisman Gallery/Best Gallery In PDX… 14th Alberta and art is also going to be shown in 5 other galleries on the street (including Antler and Guardino) and a mobile gallery that will be parked outside as well. The show runs for the Month of March.